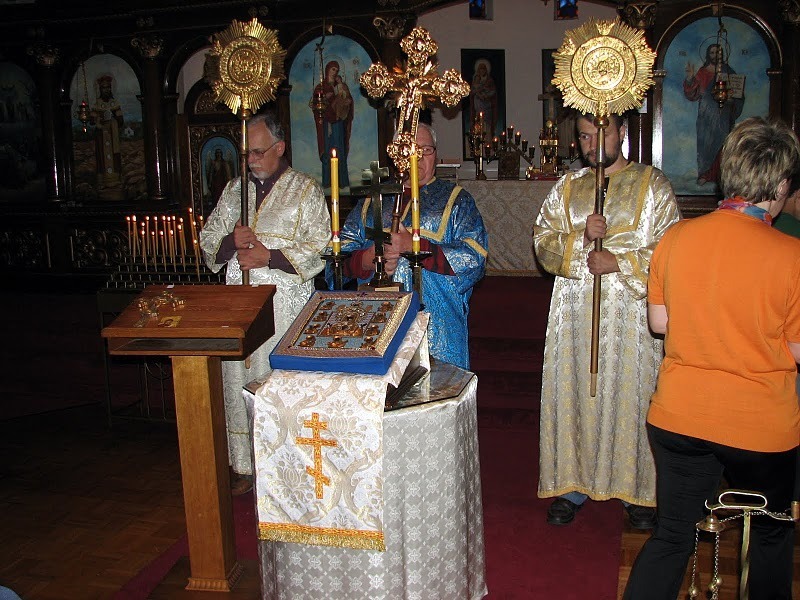 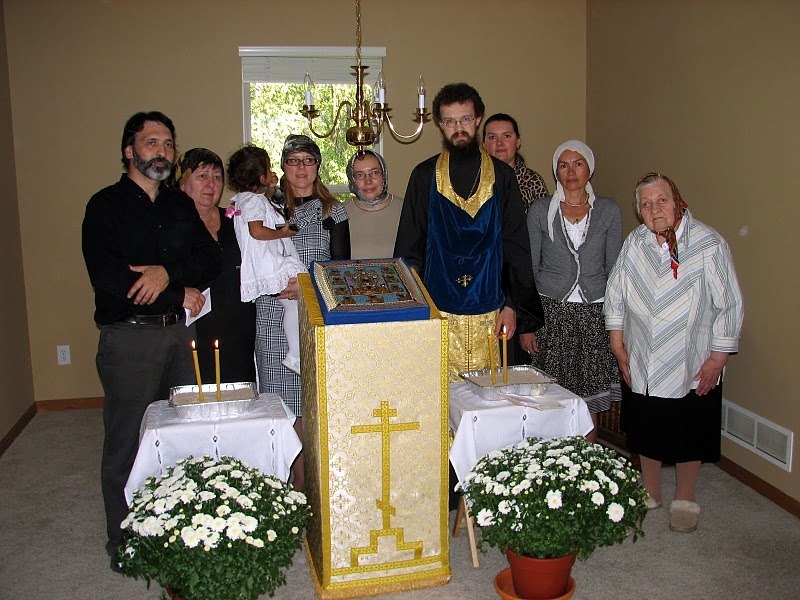 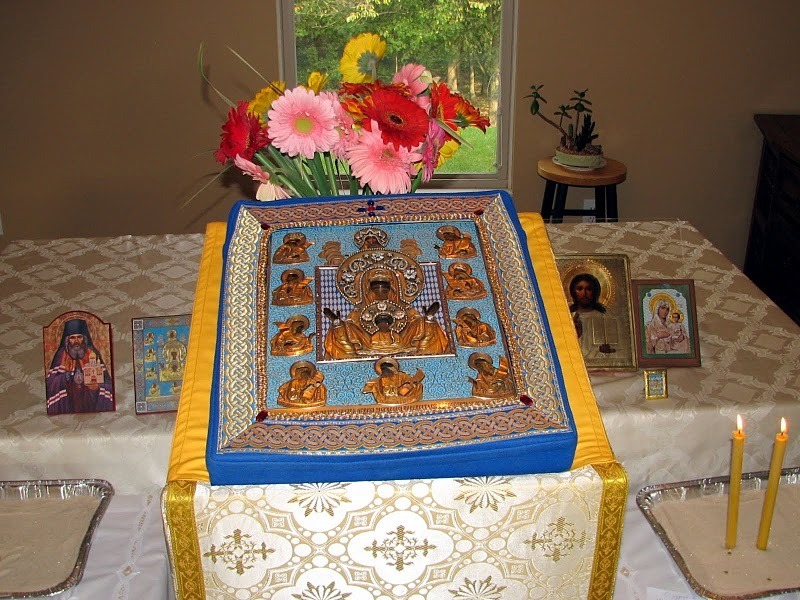 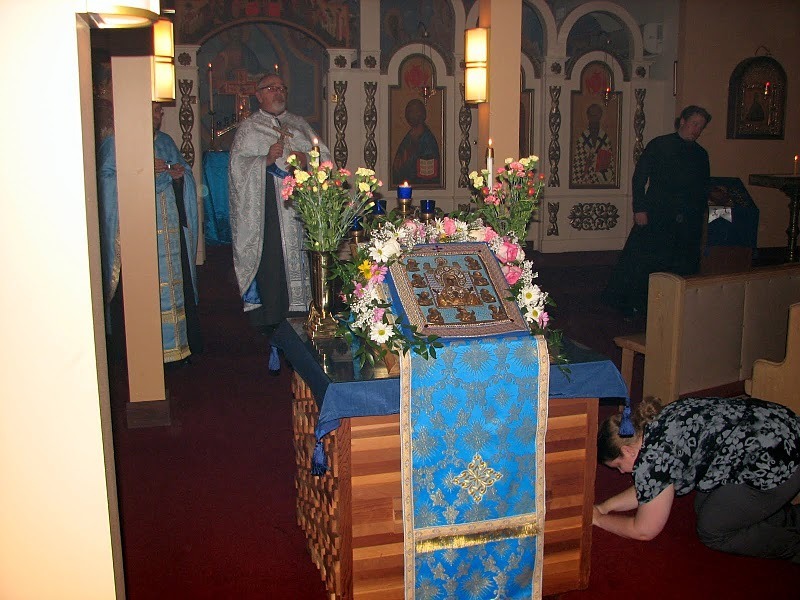 On September 30, the Kursk-Root Icon of the Mother of God traveled to the Columbus, Ohio area, giving the Orthodox faithful an opportunity to pray before the Wonderworking Icon. 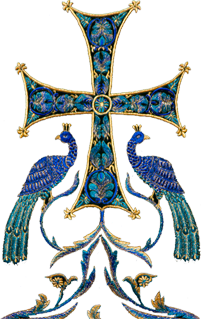 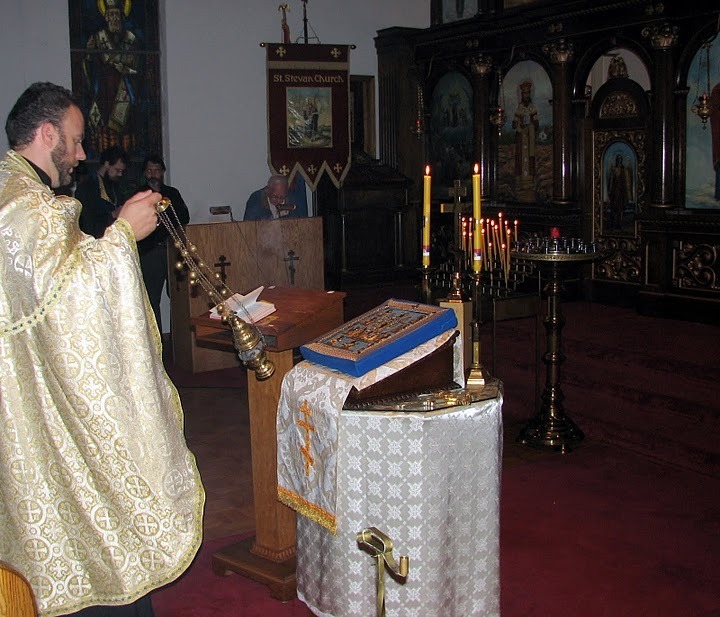 The Icon was accompanied by Fr. 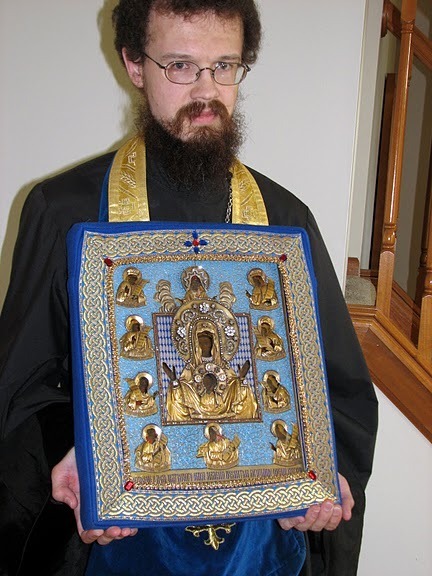 Paul Akmolin of St. George Russian Orthodox Church in Cincinnati. 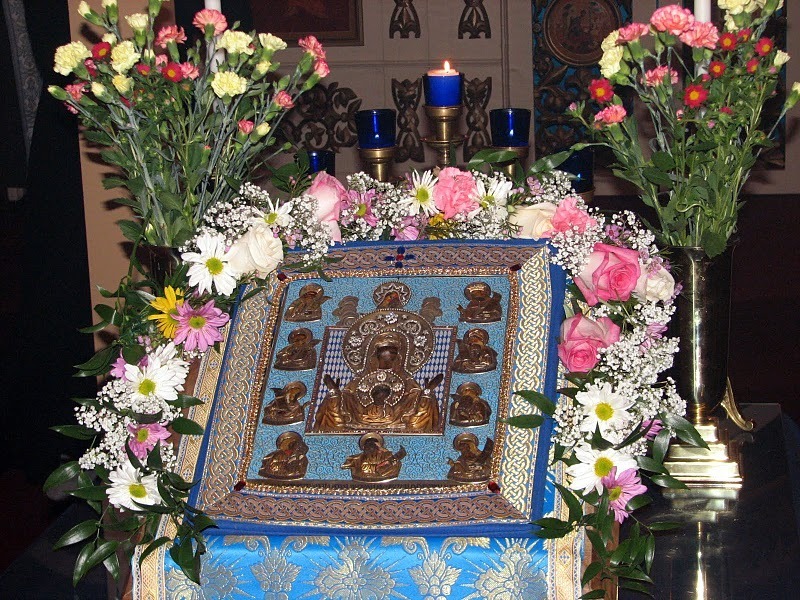 The Icon first visited the home of one of the parishioners of the St. John of San Francisco Russian Orthodox Mission, where the mission members gathered to pray before the Holy Icon. 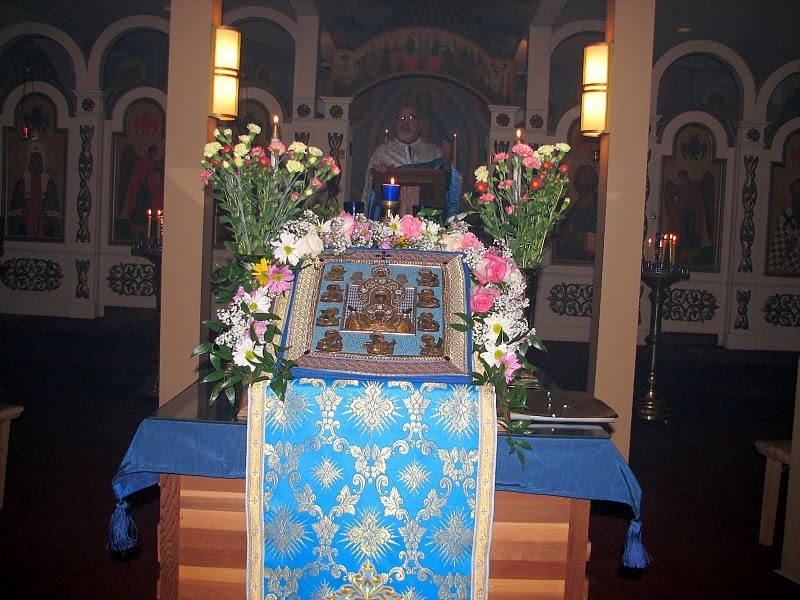 The Icon then traveled to St. Steven of Dechani Serbian Orthodox Church and St. Gregory of Nyssa Orthodox Church, where a great many Orthodox came to venerate the Holy Icon.